Maximizing dental insurance is one of the easiest ways to help patients fit the costs of their dentistry services into their budgets. At the Ardmore dentistry practice of Dr. Jamie Guthrie, we are happy to work with patients to process and file claims for the majority of PPO dental insurance providers, and we even offer in-network coverage for some benefit plans. Before you schedule your first appointment with our team, we’ll ask about your insurance benefits, so we can start helping you minimize the out of pocket costs of your dental care right away. If you want to learn more about dental insurance coverage or schedule an appointment in our Ardmore dentistry practice, give us a call today. We look forward to helping you with all of your dental insurance and oral health care needs. 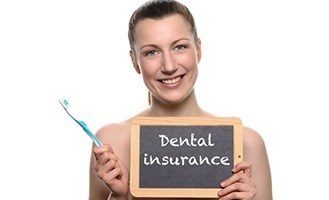 There are two main forms of dental insurance available. Health maintenance organizations (HMO) offer a lower monthly premium, but they are also more rigid in outlining the dentists and dental services they cover. Unfortunately, we don’t currently accept HMO policies, but please let us know if you are covered by one of these plans. In some cases, your HMO will provide reimbursement for part of your treatment costs if there are not any in-network dentists within a specific area. 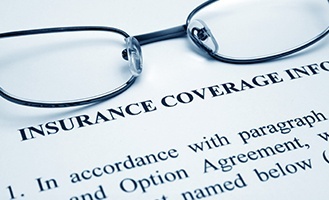 The more common type of dental insurance coverage is the preferred provider organization (PPO). These plans have slightly higher monthly premiums, but they offer increased flexibility, allowing patients to choose their dental care provider. However, visiting in-network dentists ensure the lowest out of pocket treatment costs. Whichever type of dental insurance you choose, we encourage our patients to invest in this coverage. It helps to offset the costs of necessary dental care to ensure you receive the treatment you need at a price you can afford. Visiting an in-network dentist is not required to receive coverage from PPO insurance plans. This allows you the flexibility to find the right dental office for your unique oral health needs and still receive dental insurance coverage. The difference when visiting an in-network dentist is that the office has a relationship with your insurer. That means that they know covered treatments and are familiar with the various plans, so it’s easier for them to help you maximize your benefits. Your dentist also agrees to charge fees deemed fair and average by the insurer, so you will only need to pay the out of pocket percentage of treatment costs. Out of network dentists may charge slightly higher fees than those outlined by the insurer, but you will need to pay the difference. In most cases, these differences in cost are minimal, but an in-network dentist can help you avoid these extra fees altogether. We are happy to provide in-network coverage for patients with Delta Dental and Health Choice, and our team works hard to make pricing affordable to minimize out of pocket costs for those patients covered by other PPO insurance plans.